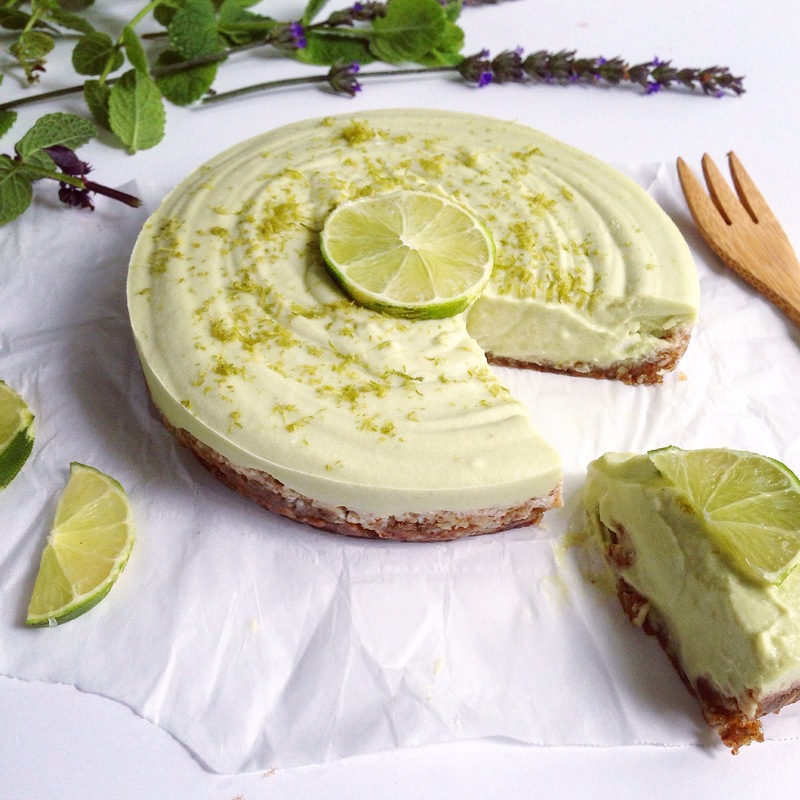 Creamy Key Lime Pie. | Eat More Plants. 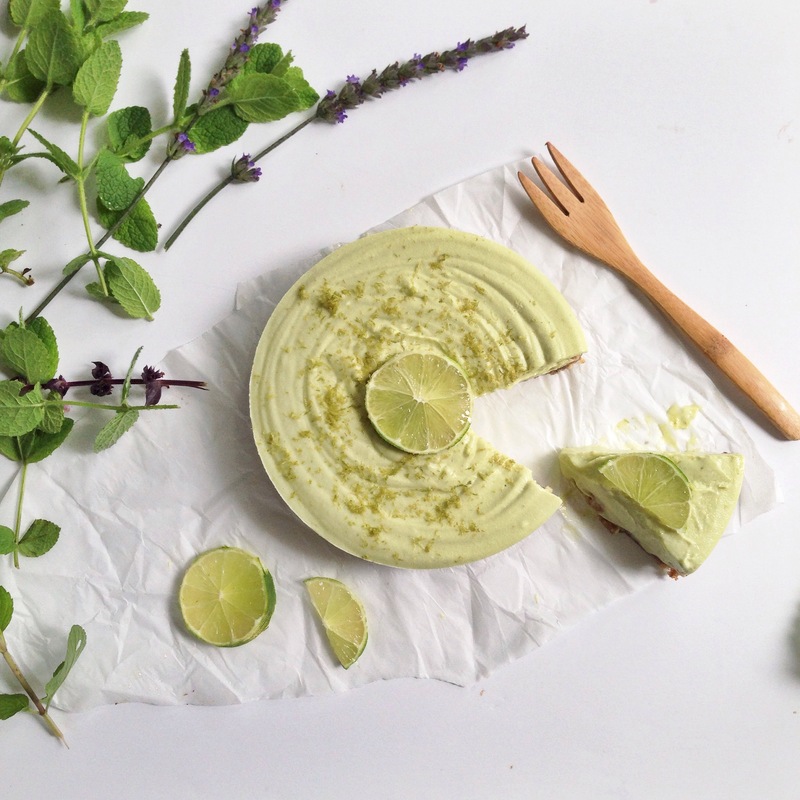 In this case, key lime pie. Well, just regular limes here but same idea. 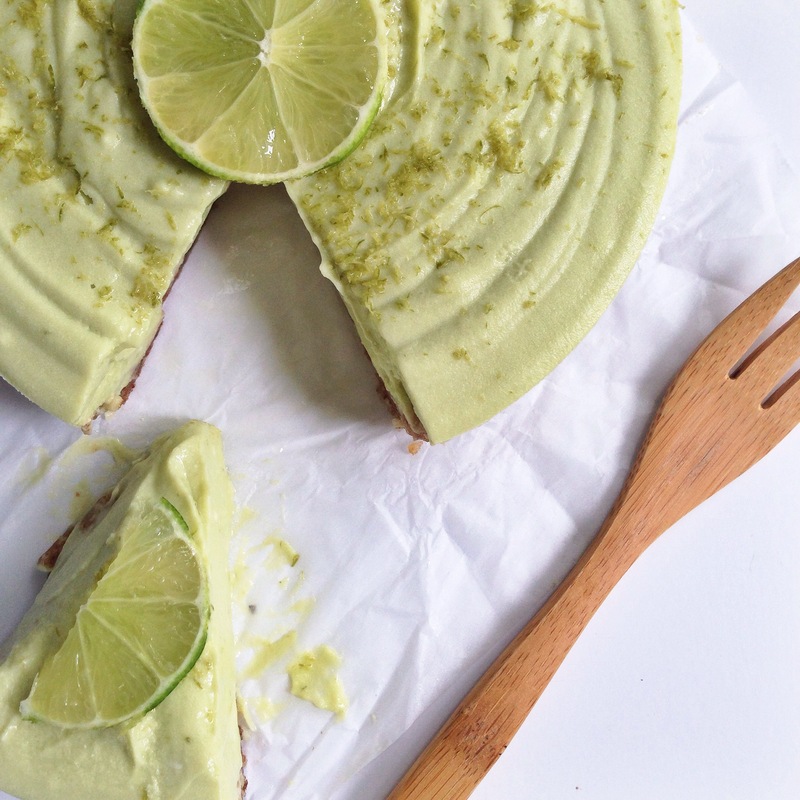 I read through and tested many vegan key lime pie recipes, just making a small potion of the filling rather than testing a whole recipe. A crust is pretty easy to gauge how it will taste – however, the filling is more complicated. Some used silken tofu – not my favorite. Some used cashews – I didn’t bother trying these. I’ve made enough raw cashew cheesecakes to know what the flavor and texture would be like and that wasn’t what I was longing for. I wanted a filling with a pudding-y texture, almost like a lemon meringue pie. Believe me; I could have stopped right at the filling and just ate it like a bowl of yogurt but I stopped myself (somehow) and made a *real* pie. A really, really good pie. My mom made me key lime pie every year for my birthday when I was a kid. It always reminds me of hot, summer days. I really enjoyed this recipe and am glad to show my mom that it can be made without dairy! Inspiration for this recipe is from Little house of veggies, which doesn’t seem to be an active blog anymore unfortunately because she has a lot of great recipes on there! *prep ahead – place 2 cans of full fat coconut milk (preferably “native forest” brand) in the refrigerator overnight. Do not shake or agitate them. 1 1/2 c raw almonds – almonds are usually pasteurized, I say raw in the sense that they are not roasted. 5-6 soft medjool dates, if not soft, soak them in water for 15 minutes before using them. Be sure to drain and pat them dry. A springform pan will make life much easier when it’s time to eat this pie – it’s not “necessary” but I recommend having one. They aren’t expensive and I use them constantly. I have a few different sizes – a 9inch, a 6inch and 4 3/4inch. Also note that if you want to avoid nuts, you can make a graham cracker crust (which is the traditional crust for a key lime pie). I’ve seen pre-made graham cracker crusts in the grocery store but they are pretty simple to make anyway. First, pulse your crust ingredients in a food processor or blender. Be careful not to over-process because the oils from the almonds will start to release and create a greasy mess. You want the ingredients to stick together when you squeeze them in your hand but not be a paste. I lined the bottom of my pan with parchment paper, while not necessary, it will make it easier to remove the whole pie from the pan especially if you are not using a springform pan. If you let the parchment paper come all the way up the sides of the pan, after freezing you can pull the edges of the paper and pull the whole pie out in one easy step. Press the crust mix firmly into the bottom of the pan and up the sides about an inch. Place your crust into the fridge while you make the filling. Add the avocado flesh, maple syrup, lime zest and lime juice to your blender. Blend until very smooth and no lumps are present. Taste and adjust sweetness if necessary. I don’t like my key lime pies to be overly sweet; I want to taste the lime much more than the sugar. Set your filling aside while you prepare the coconut cream. Open both cans without shaking them and scoop out the very thick cream that will be on top. You will have about 1 1/2 cups of cream. Place this cream in a separate, non-reactive bowl. Glass works great. Pour 1/4 cup of the thin, translucent coconut milk left in the bottom of the can into your lime avocado filling and blend it together. Using a hand mixer, whip the hard coconut cream until smooth and stiff peaks form. Shouldn’t take longer than 1 minute. You will have to stop mixing and scrape down the sides of the bowl occasionally. Once smooth, you can fold the coconut cream into the key lime filling. It may never be fully incorporated into the key lime filling; you might still see a bit of white but nevertheless it will taste great. Mix and fold as best as you can. Taste and add a bit more lime zest if needed. Pour the filling into your crust and tap down on the counter a few times to release any trapped air bubbles. Sprinkle some lime zest over the top of the pie as well. Serving this pie is the one thing I could not decide on – I left it in the fridge over night first and tried to slice it the next morning and it was wayyy too soft. So I then froze it for about 6 hours and it was much easier to slice and hold together. I recommend freezing this pie but making sure you have ample time for it to defrost. You don’t want to be serving a hard custard but you also don’t want a sloppy mess. Let the frozen pie defrost on the counter (depending on your climate, the time to defrost may vary). I let mine defrost for almost two hours before it was soft enough to slice. omg this pie looks insanely delicious!! !